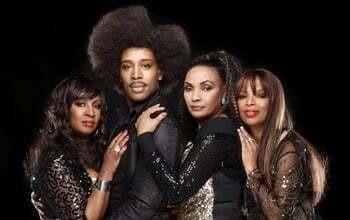 The group has Anthea Farrell and Maureen Laurens, which were for many, many years the leading ladies in Boney M. ft. Bobby Farrell. Together with Becky Bell (American Singer who had hits in the ’90s) they’re together the Bobby Farrell Ladies. One year after Bobby died, Orlando replaced Bobby Farrell. The group is bringing all the Boney M. Hits and is really succesfull. The countires where the group has performed: Netherlands, Belgium, France, Italy, Spain, Romania, Uruguay, Canada, Russia, South Africa, Ukraine, Tunisia, Turkey, Latvia, Poland, Greece and Finland.